Riverboat Jazz Festival takes place in the center of Jutland, in some of the most beautiful nature the land has to offer. 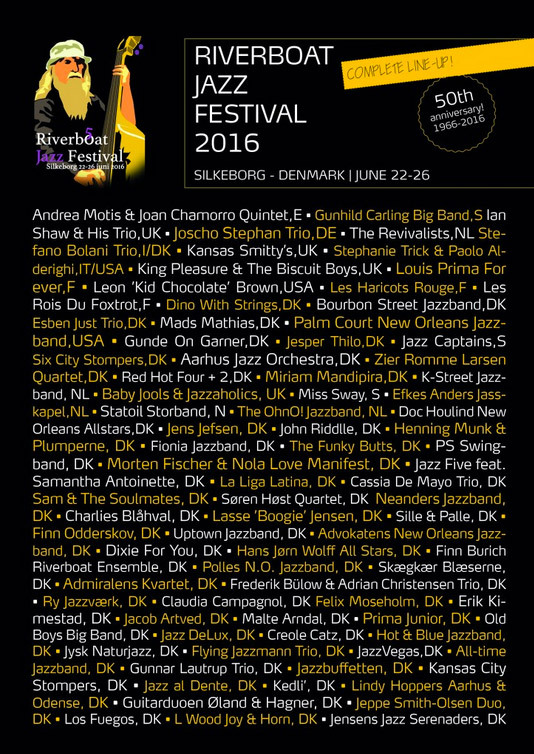 This year edition With more than 100 free concerts at the Riverboat Jazz Festival is Denmark’s oldest jazz festival – in 2016 it celebrates its 50th birthday – and it has many proud traditions. Andrea Motis & Joan Chamorro will be performing in June 24th. Learn more here.